It all started with one brick. One Lego brick to be exact. One of the world’s must-see exhibitions, The Art of the Brick, has opened at The Perot Museum of Nature and Science, bringing with it a whimsical appreciation of art. 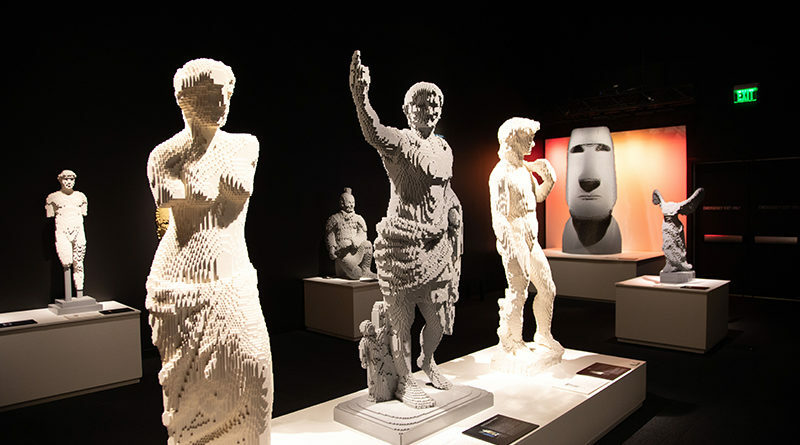 The exhibit showcases the work of artist Nathan Sawaya, who uses millions of Lego bricks to recreate artistic masterpieces. Sawaya, who was formerly a corporate lawyer working in New York City, said he began tinkering with Legos as a way to de-stress. I got to tour the exhibit last Friday, and what can I say? I was beyond impressed. The sheer size and scope of his artwork are impressive enough, but the emotion behind it really got to me. The exhibit, which ranges from millions of legos used to recreate artistic masterpieces – like Van Gogh’s Starry Night and Johannes Vermeer Girl with a Pearl Earring – to a hands-on creative space, was so in depth that I actually walked through three times in an attempt to honor every piece. Linda Silver, Eugene McDermott chief executive officer of the Perot Museum, said she was thrilled for the museum to be able to showcase Sawaya’s thought-provoking works of art. Each time I walked through the exhibit, I learned more about the artist, myself, and the others who were viewing it. One of my biggest takeaways was that the artwork really seemed to make adults feel like children again and children like adults. What I mean by that, is the art made us, adults, excited. We would embrace each artwork with a deep breath and a curiosity about how many legos it took to make a 20-foot-long T. rex skeleton. (80,000 in case you’re interested) We’d walk down memory lane, sharing stories about our first Lego set and what we made. And for the children, I eavesdropped on some pretty cool conversations where they talked about how the art made them feel and would discuss the engineering behind the pieces. The children seemed to really understand the artist’s intentions. Sawaya, who only uses classic rectangular bricks, said his favorite subject is the human form because it suggests a figure in transition. “It represents the metamorphosis I am experiencing in my own life. 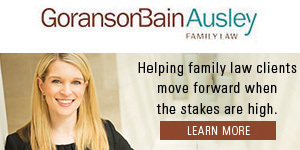 My pieces grow out of my fears and accomplishments, as a lawyer and as an artist, as a boy and as a man,” he said. His work, while impressive and massive, really did a stand-up job of helping the viewer explore emotion. I for one was captivated by two pieces, a form swimming in water and a life-sized sculpture of a man ripping his chest open with thousands of yellow Lego bricks cascading from the cavity. Presented in English and Spanish, the exhibition runs through Aug. 18 and requires a surcharge for members and non-members.